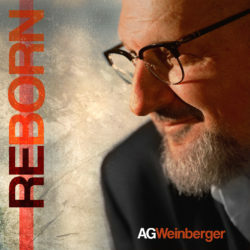 The Transylvanian Guitar Man, AG Weinberger, returns with his tenth album, “Reborn.” Romania’s premier blues artist takes us on a musical journey, painting the landscape with colors of jazz, blues, cabaret, psychedelic rock and folk, exploring themes that range from flights of whimsical fancy to deep emotional introspection and soul searching. AG gathered together some dear friends and invited special guest, the legendary Bob Margolin, to cut twelve new tracks at Origo Studios in Budapest. The captivating blend of blues, world music and jazz are a continuance of Weinberger’s mission to share his passion and joy with the world. 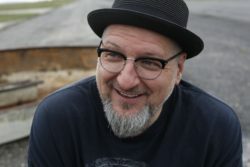 Weinberger opens the album with a playful reinvention of ‘Wang Dang Doodle,’ by steering the blues standard into a bebop frenzy for the solo section, while the flexible rhythm section bobs and weaves a harmonic dance in and around the familiar Willie Dixon riff. Drummer Pusztai Csaba lays down a convincing second-line beat for the party song ‘Sweet Little Number,’ while piano man Cseke Gabor tickles the ivories like Professor Longhair himself. Weinberger illustrates the struggles of fulfilling his mission to be a bluesman on the moody blues ‘On The Wrong Side,’ punctuating his point with a soaring lap steel outro. “Steady Rollin” Bob Margolin sat down with Weinberger and penned the easy-going blues track ‘The Fool’s Lucky Day,’ a custom-fit vehicle for his signature slide guitar that pops and squeals along until AG joins him on the final chorus, trading licks with the master for a blues guitar showdown. Weinberger throws down more of his famed lap steel on the greasy Tulsa groove ‘It Wouldn’t Be Enough,’ and bassman Hars Viktor works hard on the upright while Weinberger and Gabor stretch out on the swinging instrumental ‘Slippery Slope.’ The delicate country ballad, ‘Just One Minute,’ glides through a pastoral scene of a man reminiscing on lost love, over dulcet tones and the chorus of ”Simple words, easy thoughts, memories of broken hearts,” healing his troubled mind. 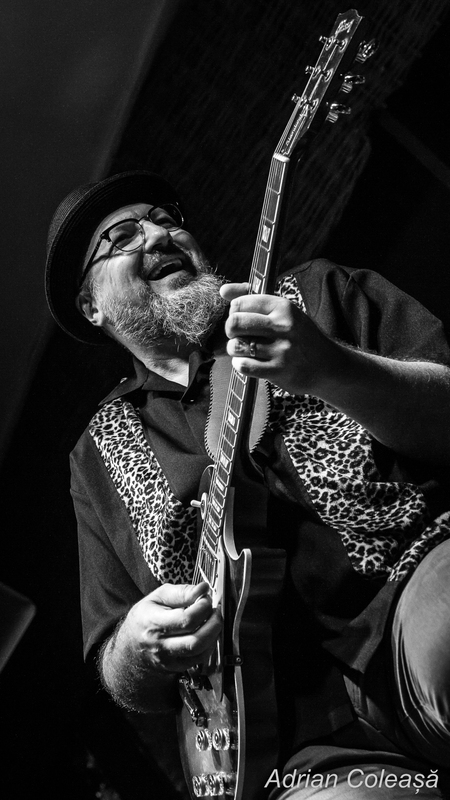 A blazing telecaster solo opens the Chicago shuffle ‘Cadillac Blues,’ as Weinberger sings the praises of that sweet ride that is a bluesman’s pride and joy. He then invites everyone to the dance floor on the jaunty boogaloo fueled track ‘Shoot.’ He pleads his case to ‘Caroline,’ on the sugary piano driven pop tune that could have been written by Goffin and King at the Brill Building in the early 60’s. The tribal flavored expansive title track, ‘Reborn,’ is a musical vision quest into an uncharted wilderness that leads to resolution and solace delivered in the beautifully stark psalm ‘I Am The Water,’ with Gabor’s adroit piano and Weinberger a salutary cantor, whispering to our soul. AG Weinberger believes his work is better described as “related to blues,” and this fine album, “Reborn,” reflects his commitment to inject the spirit of the blues into every genre he explores. AG Weinberger is a central figure on the Romanian blues and jazz scene. He is headlining all the major festivals in the country, constantly touring and sought after by the media. AG is a multi-award winner and the recipient of the President Medal – the highest honor in Romania for Arts, Music and Cultural recognition. He performs some 70-80 concerts a year, sets up educational workshops, produces and hosts nationwide radio and TV shows. His albums (nine titles) have sold more than 200,000 copies over two decades. Hailing from the fabled region of Transylvania, he stands six foot five and tips the scales at 255 pounds. This unforgettable bluesman is a giant, in terms of his monumental efforts to popularize the blues in Eastern Europe and his superhuman stature and stage presence. Since his entry into the blues, he has shared the stage with Al DiMeola, John Mayall, Chick Corea and James ‘Blood” Ulmer. 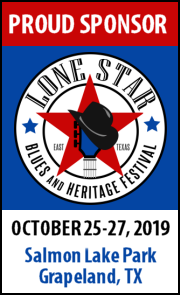 As the only non-American performer at the Bluestock National Blues Convention and Showcase in Memphis in 1998, AG also shared the bill with Leon Russell, Son Seals, Little Milton and Hubert Sumlin. Beside his efforts in spreading the blues in Romania, Mr. Weinberger also writes scores, to date 19 theatre plays for worldwide famous Romanian theatre companies.